In the recent months, Seagate has made several significant announcements regarding the future of HDD technology and unveiled a number of important products. In particular, late last year the company has said that hard disk drives would continue to evolve in the following 20 years, implying that Seagate is exploring multiple technologies to improve capacities and performance of HDDs. Additionally, Seagate introduced the first shingled magnetic recording (SMR) based consumer drives for mobile PCs, which marks a significant milestone in the development of the technology. While solid-state storage devices are evolving fast in terms of performance and getting more affordable every year, they are not going to match hard drives in terms of cost-per-GB anytime soon. Still, with economic feasibility in place, HDDs are poised to keep evolving with larger capacities and better performance. Throughout the history of hard drives, the evolution of HDDs has involved multiple factors, including materials (platters), mechanics (motors, arm movers, internal structure, and so on), read/record heads, controllers and firmware. 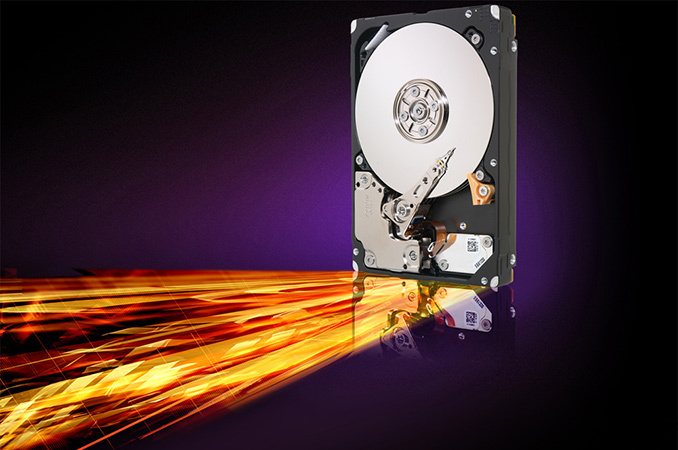 The keys to additional capacity and performance of HDDs have remained generally the same over the years: small pitches and narrow tracks as well as a high rotating speed respectively. The evolution of HDDs in the future will rely on platter density and new heads, as well as the compute capabilities of their controllers. The performance of HDD controllers in the coming years will matter more than ever. For our coverage, we approached Seagate and spoke with Mark Re, SVP and Chief Technology Officer of Seagate, to discuss their plans to announce HDDs featuring other important technologies. Rather than a question/answer discussion, what follows is a culmination and expansion of topics discussed.